A couple of months ago I had the brilliant idea to empty out our walk-in closet and turn it into a craft supply store…er, space. Sure, we ended up keeping our clothes ALL OVER the bedroom floor until we purchased wardrobes, but the mess was worth it. Now, our bedroom is just that – a bedroom! 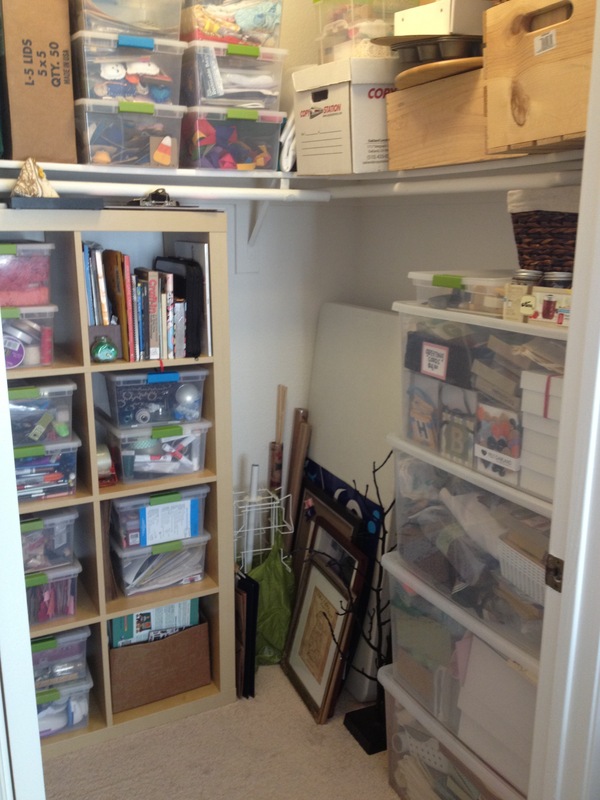 And, assuming my craft supplies are put away nicely, the craft closet door can shut and hide away all of the boxes of fun supplies. 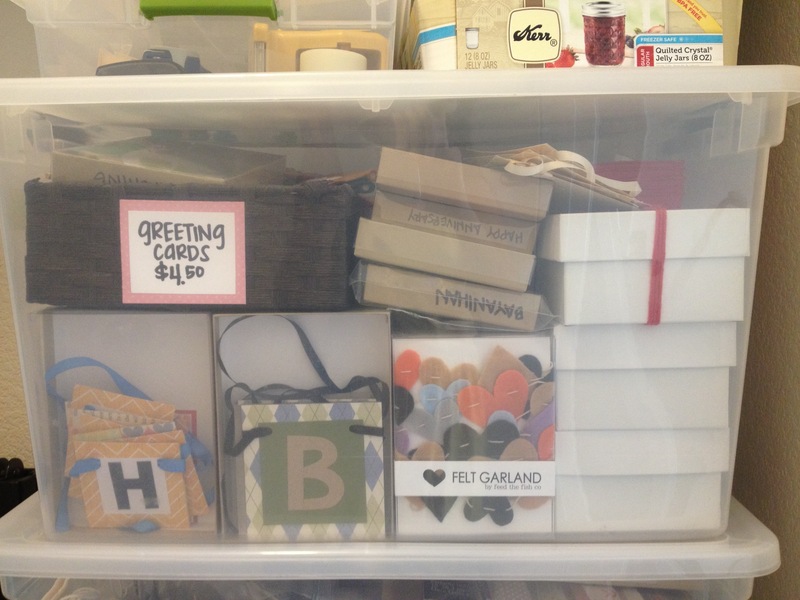 On my bookshelf I’ve stored “high use” supplies – things like paper, glue, ribbon, and punches. Up top is where I keep my “low use” supplies, seasonal items, and booth displays. The larger storage containers on the right are home to my packing supplies, workshop materials, products for shows, and “craft queue.” In the corner I’ve stored craft tables and bigger display items. Sterilite made a lot of money off of me. I absolutely love their storage containers. They are durable, stackable, easy to open/close, and see-through – no need to label. 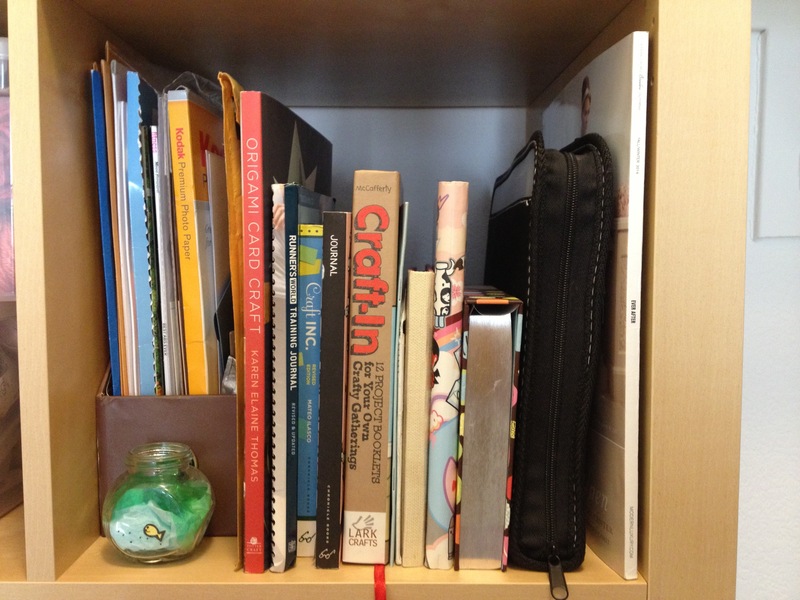 On my bookshelf, I have one section designated for craft books and important documents. Check out the mini fish bowl created by my BFF, too. She’s so crafty. Have you done something fun with your walk-in closet? Share below! Wow, so neat and organized!